Many of us find the common house lizard creepy. However, imagine one that’s a thousand times bigger with a lethal bite. You might think that this creature is the stuff of nightmares, but they’re actually real, and they reside in certain islands in Indonesia. 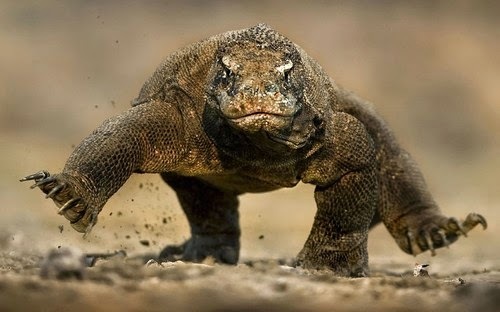 Known for their size, the Komodo dragon is definitely an animal you don’t want to mess with. It’s the biggest living lizard. The biggest ever recorded reached about 3.13 meters long and weighed 366 pounds. That’s about as heavy as two people. But don’t worry about getting chased by one, for they are able to run only for a short time at a speed of 13 mph. How this giant lizard dominates is through power and stealth. They can lie waiting in a single spot for hours, waiting for a goat, a boar, a deer, or anything that can be seized and good enough to be eaten. They also have a very keen eyesight. 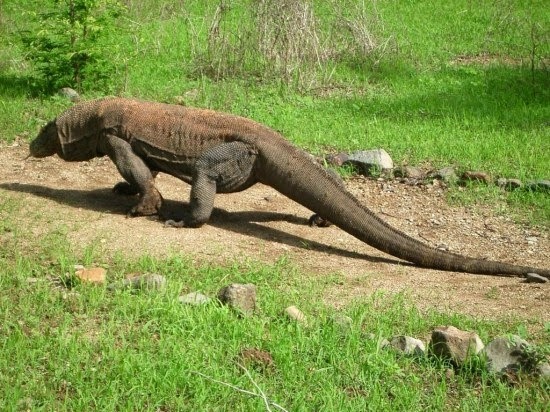 Komodo dragons can see things as far as 300 meters away from them. Not only that, another sense that makes these predators rule is their sense of smell. Like snakes, they use their long forked tongue to “taste” the air and find their prey. The bacteria found in their saliva is another way to cause damage to their preys. 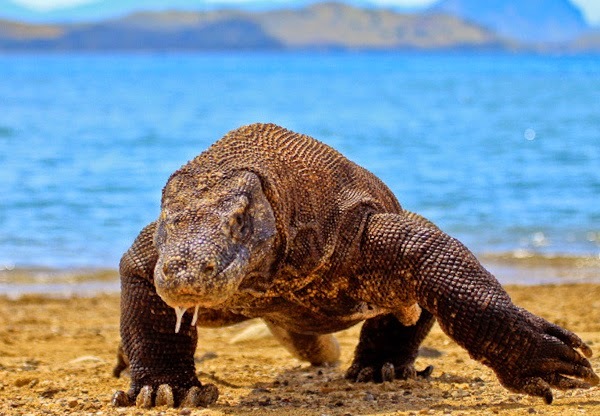 If the prey gets away from the Komodo dragon’s powerful bite, it will slowly become infected and die in a matter of days. Komodos are immune to each other’s bites, thanks to the antibodies in their blood. These strange and mysterious creatures were successfully hatched in captivity back in 1992. Their offspring are now seen in zoos in different parts of the world.